Seth Rogen To Direct His First Movie With ‘The Apocalypse’!!! Seth Rogen is looking to make his directorial debut with ‘The Apocalypse’ which is currently in final negotiations with Sony. 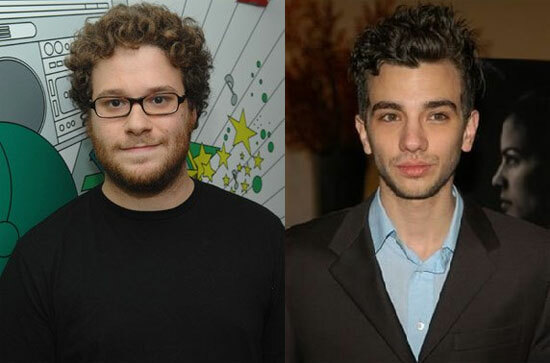 The film was written by Rogen and Evan Goldberg from a story by Jason Stone. The film was inspired by a short called ‘Jay and Seth vs The Apocalypse’. In it, Rogen and Jay Baruchel play their real life selves while they ride out the end of the world in their apartment. Now since the project has grown into something much bigger, they have added James Franco, Jonah Hill, Danny McBride and Craig Robinson to the cast. The project is looking to gain an $30 – $40 million dollar budget and start shooting later this year. This is one of my most anticipated films I am looking forward to. With talent like these guys, I expect the best. Looking forward to it as well as Rogen’s first film he directed. This entry was posted on Friday, January 6th, 2012 at 1:08 pm	and is filed under News. You can follow any responses to this entry through the RSS 2.0 feed. You can skip to the end and leave a response. Pinging is currently not allowed. « Check out the New Trailer of ‘Silent House’ Starring Elizabeth Olsen!! !